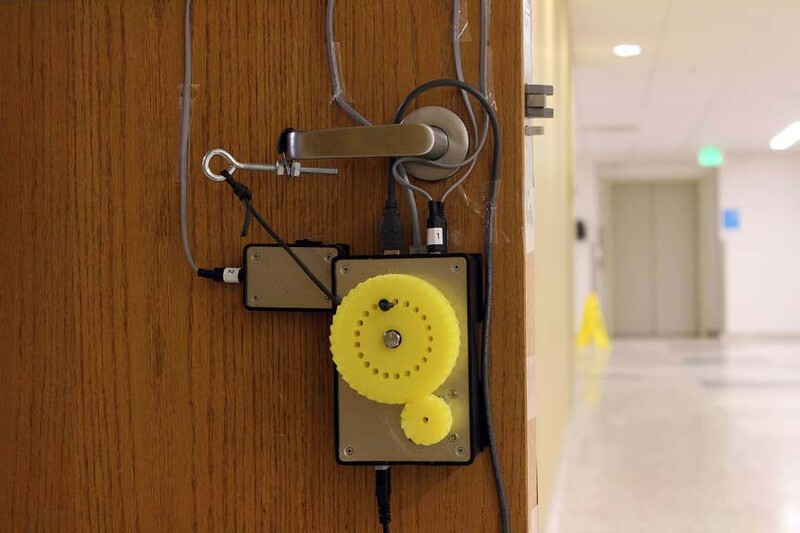 Too funny, the authors build a door opener for a latch style door knob. Now if they could just clean up some of the wiring for a nicer look. This entry was posted in CNC/3D-printing, Misc-Life, RaspberryPi, robots, Security. Bookmark the permalink.